What British pier would be complete without a bar, a cafe and an ice cream kiosk selling traditional donuts and candy floss? Sandown Pier has a cafe just inside the entrance which sells hot and cold snacks including wonderful thick milkshakes, traditional seaside chips and burgers. 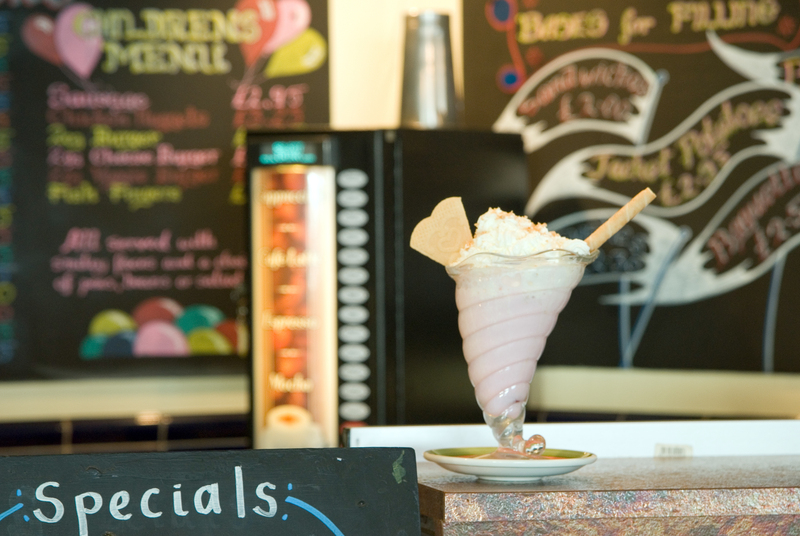 You can sit and enjoy a meal from the full cafe menu whilst looking out across the stunning views of Sandown Bay. The breakfasts are a popular choice for many. There’s a burger bar half way up the pier where you will find all the pier favourites including candy floss, sugar sweets and freshly made doughnuts which are often said to be the best on the Island! As we said, no pier would be complete without an ice cream kiosk and you can find this beside the entrance to the pier selling a whole range of ice creams, sweet treats and beach accessories to make sure your visit to Sandown beach is perfect! The pier also has its very own sports bar, Scruffy Jack’s where you can enjoy all the top sports games on TV; and you can order food in the cafe to eat in the bar.